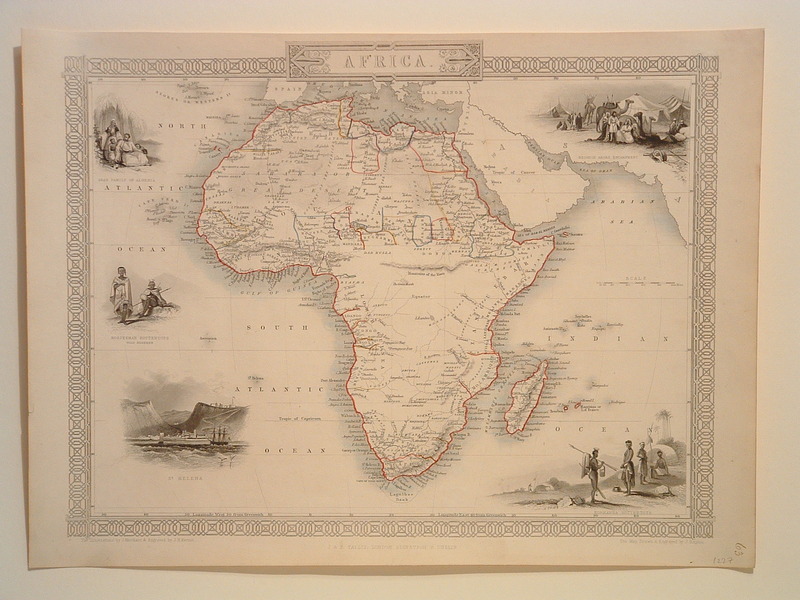 Classic steel engraving of the continent as it was known at the time. Enhanced by small vignettes of peoples and places. 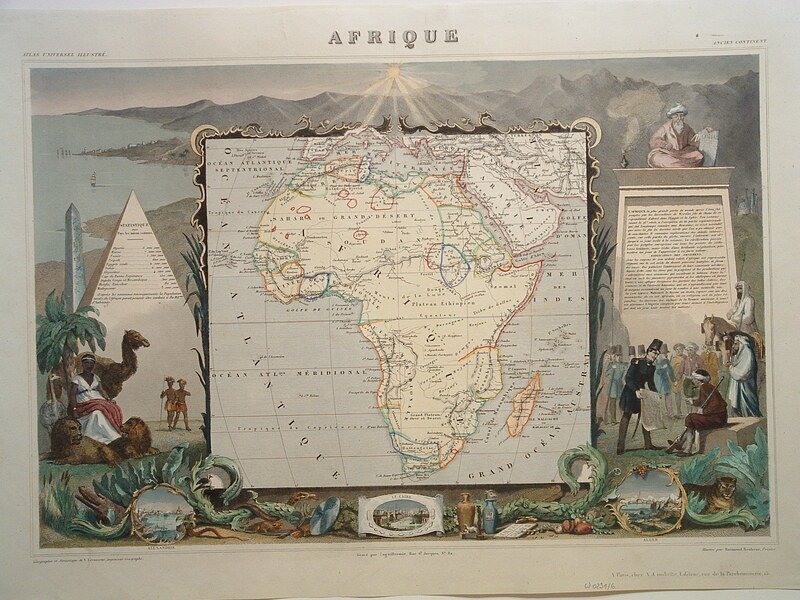 Classic Levasseur style steel engraving with decorative scenes surrounding the map. Note the Turbaned man reading the “CORAN” upper right. 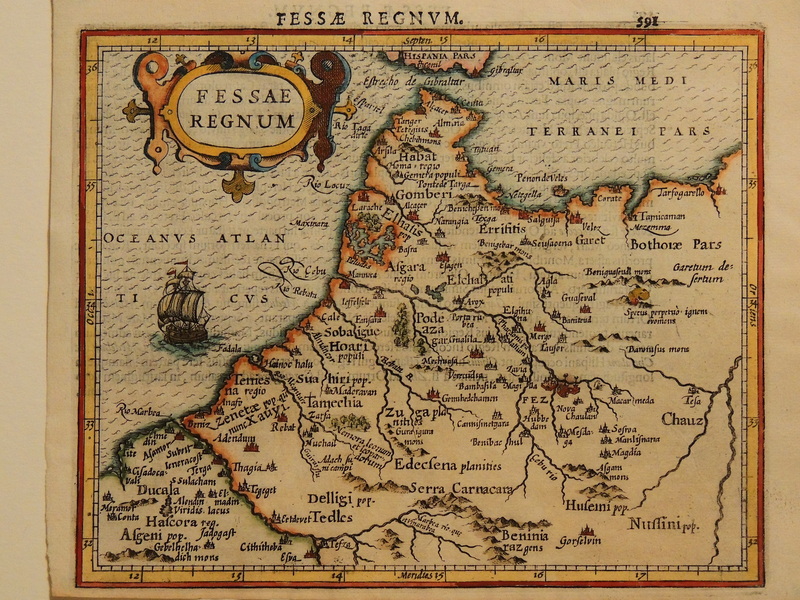 Version with “Noriberge officina Homanniana” in lower left margin. 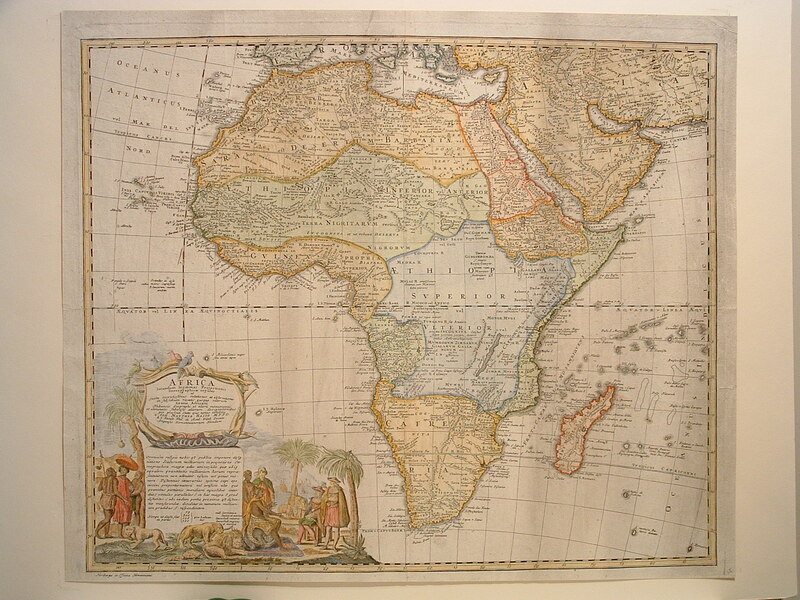 Engraved by John Mathias Homann in 1737 replacing J B Homann version published in 1715. Seventeenth century mythical source of Nile in two lakes. Numerous animals in the interior and ships at sea. Dedication cartouche – Gerardo Schaep. This is the second state of the map as it has a permission notation in the lower right. 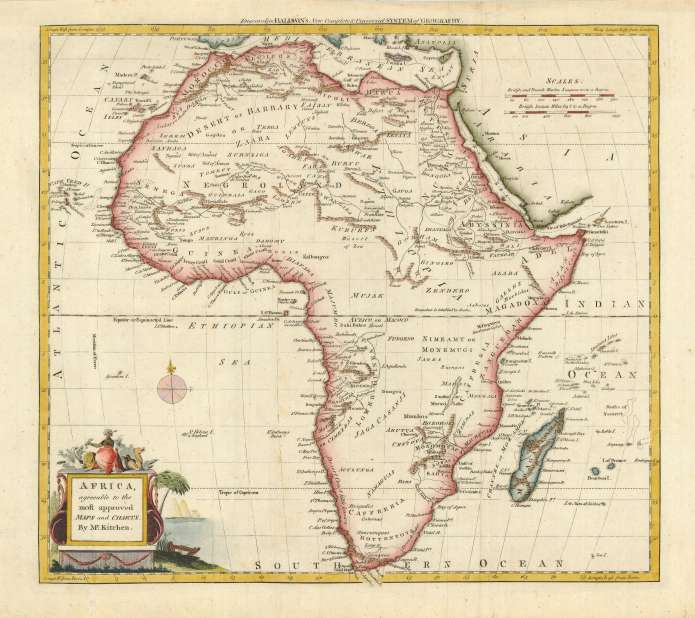 This small, crisply printed map from Hondius’s Atlas Minor, covers a portion of the Magreb including parts of Algeria, Northern Morocco and the Strait of Gibraltar. A bold title cartouche with strapwork is embellished by a detailed sailing ship in the Atlantic. 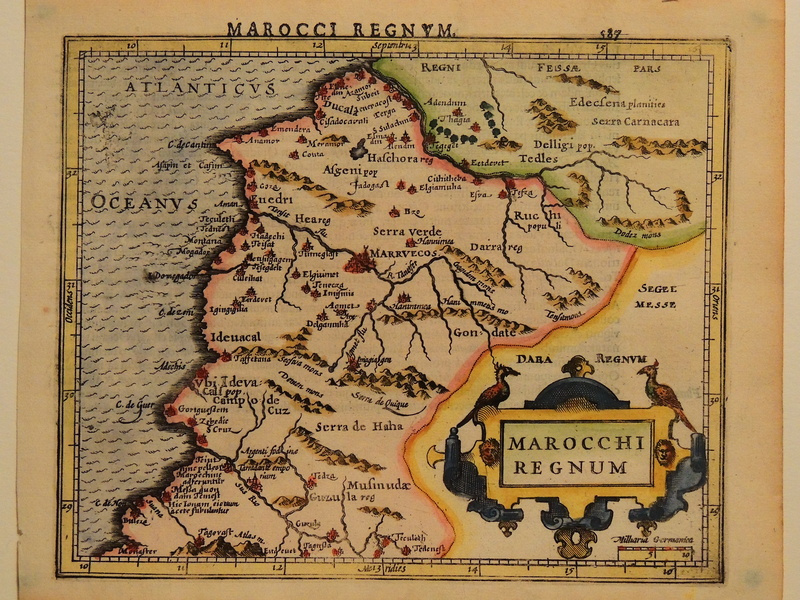 This small crisp map of Southern Morocco is centered on the once capital city of Marrakech (Marruecos). Embellished with the Atlas mountains, cities and forests, an attractive view is created. The large strapwork cartouche located in the Sahara is adorned by two birds. 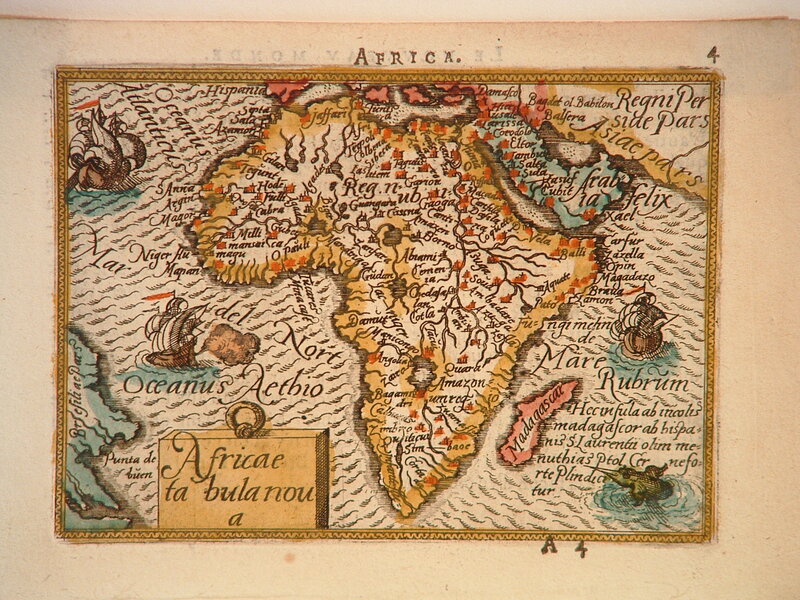 From the miniature Ortelius Atlas “Epitome”, which was the first pocket version of his Theatrum. 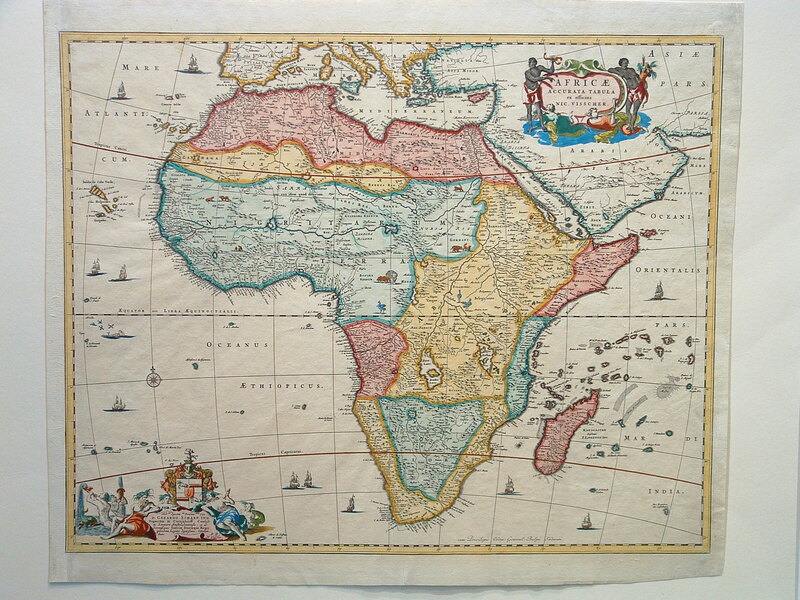 Most notable change from prior maps is the elimination of Lake Zaflan as one source of the Nile.